2nd Annual Kingston Clean Sweeps. Register Now. Volunteers will once again take to the streets with brooms and brown bags in hand for the Second Annual Kingston Clean Sweep on Saturday, April 30, 9am to noon. Last year, the immensely successful event netted four tons of litter lying along the “Kingston corridor” from the Thruway Circle through uptown Kingston and down the length of Broadway to the Rondout waterfront. Many other service organizations plan to join FHK in the task as they did in 2010. Mayor James Sottile has pledged backup support from the city DPW and Steve Noble, environmental educator for the city, will again be the liaison between the Clean Sweep Committee and the Mayor’s office. Anyone who wishes to participate can sign up for a number of projects by visiting the Forsyth Nature Center “Kingston Clean Sweeps” registration page. Good news! The city of Kingston is finally working to access social media outlets to communicate with the citizens of Kingston. We’ve been trying to get them to pay attention in this way for years. Back in the stone age, BW. (Before WordPress). Remember yahoo groups? HTML? Follow the city and get up to date (fingers crossed) information that should alert you to all kinds of things such as public meetings and hearings to snow emergencies and removal. citizens Claudia and Mike D’Arcy. I saw the proposal that they created for the city to help them to better understand the benefits, and it was quite comprehensive. Perhaps Kingston citizens are already aware of their candidate choices for Mayor. But in the case that you are not, here is a list of those who have thrown their hat into the ring thus far so that you can start to do some research. Here are the choices, in alphabetical order – party and otherwise. 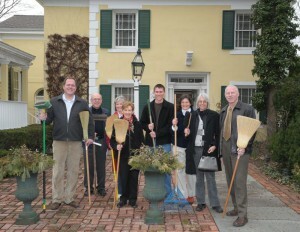 The South Pine Street City Farm Organizes its First Work Day of the Season in 2011. The South Pine Street City Farm organizes its first work day on Saturday, March 26th at 10:00am. Interested garden volunteers are encouraged to attend. Farmer Jesica Clark of the South Pine Street City Farm is looking for garden volunteers for the first farm work day of the season on Saturday, March 26th at 10:00am. 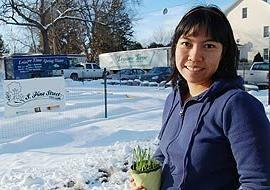 The city of Kingston’s first ‘urban farm’ is located at 27 South Pine Street in Kingston. Volunteers will help prepare 20 raised beds, create mushroom logs and more. A light lunch will be served. About the South Pine Street City Farm: The South Pine Street City Farm is dedicated to serving as a model of urban agriculture for the city of Kingston and beyond. This small- scale market garden will show that agriculture can thrive in an urban environment while also providing important educational components to encourage other farm projects throughout urban areas. The farm and its growers will work with individuals and organizations in the community to achieve a farm and food based network. South Pine Street City Farm is a program of The Queens Galley in partnership with the Kingston Land Trust and Binnewater Ice Company. The Kingston Land Trust Forms a Natural Playscape Committee and Partners with the GW Elementary School. 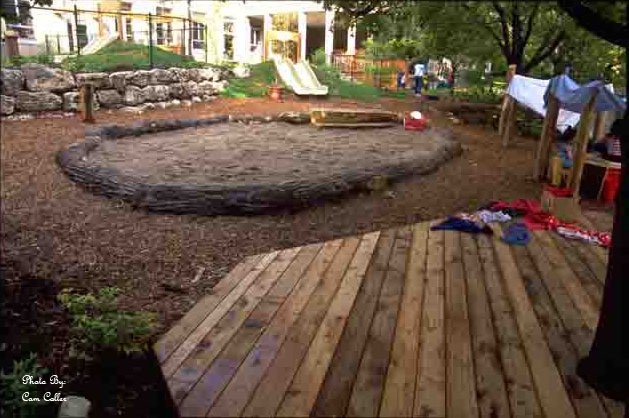 The Kingston Land Trust forms a natural playscape committee to create a structure at the GW Elementary School. Interested volunteers committee members being sought. Kingston – The George Washington Elementary School is collaborating with the Kingston Land Trust in creating a natural playscape outside of the Children’s House classrooms. A natural playscape is an outdoor play environment featuring natural elements like logs, boulders, trees, plants, and water that encourage active play, and at the same time challenge children to investigate the physical world around them. To help guide the planning and design construction of this project, a Natural Playscape Committee is being formed. Interested volunteers can contact Ann Loeding at the Kingston Land Trust aboatgrrl@yahoo.com or visit www.kingstonlandtrust.org for more information. Thank you, Mr. President, my colleagues on the Council and fellow concerned citizens of Kingston. As we look at where this city stands tonight, we all know there isplenty to be worried about – disturbing allegations of misconduct in our police department, gang incursions in Midtown, rising taxes, budget woes and uncertainty about the direction of our future financial commitments as a city. The picture is a troubling one, on many fronts, not just for Kingston but for every city in New York State and certainly throughoutmost of America. But tonight I also have confidence, not just in Kingston but in this Council’s ability to work constructively and with clear purpose toward solutions. And that confidence is founded on what we’ve accomplished justin the past year. Amid all the smoke, heat and angry words over stray cats and unregulated yard sales, it’s important to remember that this Council has achieved some big and meaningful victories for Kingston tax payers inthe past year. This year, after more than a decade of talking about it, we have finally consolidated the Kingston Fire Department’s dispatch function with Ulster County 911. Lots of folks have said for years it would never happen, but it did, with this Council playing a leadership role in theeffort. And it makes a difference to you. This move alone promises tosave us more than $300,000 a year – or 2 percentage points on your cityproperty tax levy – each year. And this year, also after many years of talking about it, we actually reduced the city’s investment in the Boulevard transfer station by almost $150,000 a year, while keeping the facility open for the convenience of residents and even expanding its operation to include Saturday. That savings represents another percentage point on your city tax bill. Again, a lot of voices said it couldn’t be done; we did it. Those 2 moves were key to a third big win achieved by this Council: cutting a property tax increase this year from the proposed 7 percent for homeowners by half, to 3 percent. Fourth, this city, with the able help and initiative of our corporation counsel’s office, has greatly expanded the scope of our nuisance-abatement law so that now it can be brought to bear on a longlist of offenses, big and small, that blight our streets and diminish our quality of life. And finally, the three newest members of the Council — Jen Fuentes, Hayes Clement and Andi Turco-Levin – initiated a long-overdue dialogue over many months with city employees and their unionleaders over the city’s health-care insurance costs and what has to bedone to curtail those costs. This is an ongoing dialogue and critical toour city’s financial future, as healthcare and pension contributions nowaccount for no less than $11 million of our $36 million annual budget – fully one-third of expenditures, and with no likely end in sight to double-digit increases in those expenses annually. Solutions are not going tocome easily, but I am much more confident about our ultimate chances of achieving something here now that union leaders and elected officials are finally sitting down to find common ground. Are our efforts perfect? Of course not. Is there more to be done? Absolutely. A lot more, in fact. Working with Mayor Sottile and Comptroller Tuey, this is the Council that’s going to institute, in short order, new financial controlsthat will prevent any recurrence of payroll or overtime fraud in any city department. This is the Council that’s going to keep our spending on the prudent, fiscally conservative path, regardless of how grim the budget picture gets in the near term. And this is the Council that looks forward not just to a new mayor at City Hall but to working in synch with that mayor to dramatically raise the bar on how Kingston attracts new businesses, new residents and grows our tax base, so that one day we might leave behind the tiresome annual question of what essential services must be cut this time around. I can tell you with complete confidence: We are on that path tonight. And we’re going to make great strides traveling it in the coming year. Thank you, and God bless the great City of Kingston. It seems like yesterday I was here before you giving last year’s reporttalking about many of the same issues. Looking back I spoke with theoptimism of a fresh Alderman thinking wheels of government would spin,and change would happen overnight. Now I know things happen slower here than in the public sector, yet my optimism and faith in our great City has not dissipated one bit. The news of late causes deep concern with budget mandates,dwindling jobs and rising taxes. Alleged overtime discrepancies and questionable actions from one of our most respected public servants has eroded the public trust. These are very difficult times indeed. Let’s look atour roadmap and see where we’ve been, then let’s look ahead to how wecan work together to rebuild that trust and begin to turn our city around. The same topics rise to the surface; loss of jobs, unsustainable pensions &labor agreements, uneven assessments and an unbalanced tax rate scaringaway new business. We continue to confront crime and gangs in our streetsand inefficient spending at City Hall. The list goes on. Last year we spokeof efficiency and planning, this year we are talking about survival. Since2007 we have seen our City’s fund balance drop from more than $15 million dollars to less than $4 million in 2009, jeopardizing our financial footing.Uneven assessments resulted in high legal fees and grievance settlements, combined with falling home values this further increases the burden on aproperty owner. In this year’s budget, for the first time ever, thesegrievance settlements were bonded, adding to our City’s long term debt.Now is the time for a new way of thinking and doing business. We havesuccessfully combined our Fire Dispatch with the County beginning theprocess of sharing services and resources which is a step forward. As unioncontracts expire later this year it is essential the discussions are open, fair,and agreeable for all. If we can achieve sustainable labor agreements we can restore services and make needed repairs to our Parks andInfrastructure. The future of our City depends on it. In the Mayor’s address he spoke of the wonderful things that have taken place on Kingston’s Waterfront. Where all of this is a wonderful assetto our City, we have 2 other business districts that seem to constantly fallby the wayside. The Uptown shopping district is one of Kingston’s Crown Jewels, yet business owner’s cries for help are swept under the mat, or inthis case, the Canopy. Our midtown corridor continues to struggle, yet we ignore chronic violators whose storefronts repeatedly break design and coderegulations. Let me remind you that one has to drive down Broadway to getto the Waterfront. More visitors arrive by car than by boat 12 months out of the year and we MUST work to empower these areas. Whether we do itthrough the creation of Business Improvement Districts or other incentives,when we do it, new jobs will follow. We all have hopes that the Kings Inn property will bring an opportunity to reinvent the neighborhood and createa welcome and much needed place for visitors and residents alike. With community groups engaging in the re-birth of Kingston we can achieve great things. We have some of the most dedicated people who callKingston home, and they are on the front lines of moving us forward. Members from our community dedicate their time keeping kids out of harm’s way. Take a look at the Hodge Center, the Boys & Girls Club andour own Rec Programs and you’ll see why it is so important to engage ouryouth before crime and gangs find them. We have a Neighborhood Watchthat has helped garner attention to how we as citizens can be pro-activeagainst crime and work with law enforcement to keep our streets safe. We are all in this together. A key component of our success stems on jobs and job creation. We need to look at all levels of opportunity which includes small business,health care, creative arts, education, history and tourism among them. Until we embrace business by working to equalize the homestead/non-homestead tax model we can’t compete with neighboring communities. The City of Kingston also needs to hold the line on social services and thecottage industry it has become. The amount of parcels off our tax rollscontinue to overburden the rest of the community and we must strike abalance between the two by taking a hard look at our zoning laws whichpermits this to happen and then address it. I am pleased to say that my suggestion of creating a special Laws & Rules Committee meeting each month focusing on our zoning regulations will begin in March and we willwork to bring these codes up to date. Doing so will help protect ourheritage and historic neighborhoods while working to streamline the processfor new development. It will be an ongoing effort that will embrace the expertise of Planning and Building & Safety, combined with community and business leaders working together to move us forward with a strategy forsuccess. This is the first step for a Comprehensive Plan that is so desperately needed which can be done affordably. Making sure that all departments communicate with each other is part of this process. I often witness how the left hand has no idea what the right hand is doing which is inefficient and costly. As we look ahead we must embrace change. Using digital media and social networking is an easy way to keep the public informed and is costeffective as well. For example during a snow emergency our DPW can alert the community with up to the minute information. In today’s world of instant media we must be part of the revolution. Another component to Kingston’s future should include the inception of a Strategic Plan Committeein order to chart a course over the next 15-20 years to insure future generations of a vibrant and healthy City. We will soon have a new neighborhood with Hudson Landing. It was a long process and we have toacknowledge the commitment of the community and developers who listened to find a common balance. As outlined here tonight, we have much to look forward to but we have a lot of work to do. This spring our leadership will be defending their actions in a Sexual Harassment Lawsuit, we will continue to fight the County to change the practice of Safety Net funding, and we will wait for the outcome of federal and state investigations in our Police Department. With the opportunity for a change in leadership for Kingston this fall we must insistthat these and other issues take a front seat in order to put us on the righttrack. It is vital that we repair public disconnect and regain the trust of ourpeople. We must hold the line on property & school taxes which arecausing homeowners and business owners alike to pick up and leave. Andwe must have a strong voice at the state level to fight unsustainable andunfunded mandates. Improving the quality of life for our residents alongwith having honesty and integrity in our leaders, and a transparent and efficient government will move us in the right direction. Once you fix thefoundation, the rest of the house can be re-built. Before I close tonight, I want to be sure to thank those who give their dedication and commitment to the City of Kingston. To our police department who does an outstanding job in fighting crime which is no easy task right now, our firefighters who are there for us within minutes of a 911 call, and to the DPW members who have gotten us through a very difficult winter even through staff cuts and layoffs. Our City would not run without them. I ask that the public continue to be engaged and informed of what is going on. We are all in this together. We love our City and know in ourhearts this is the best place on earth to call home. Thank you. Sophie Finn and Meagher School Proposed Closing or Changes. An Op-Ed Piece by Alderman Hayes Clement and Bill Reynolds. At a vulnerable moment in Kingston’s history, when several of our most critical public institutions seem to need fixing, it’s curious to find two institutions — that are excelling — slated for the chopping block. Sophie Finn and Frank L. Meagher elementary schools will shut their doors to children in grades K-5 beginning in the 2012 school year, if the recommendation of the school system’s Master Plan Facilities Committee is adopted by the full school board. Sophie Finn, on Mary’s Avenue, would be converted, once again, into an alternative high school. Meagher, on Wynkoop Place, would be converted into office space for school district administrators or, more likely, shut down altogether, ending a 100-plus year run as Kingston’s oldest operating elementary school. The rationale for the closures, of course, is financial. Faced with declining enrollment and under-utilization throughout the district’s 11 elementary schools, school administrators are looking to save as much as $680,000 by closing Meagher altogether, not including personnel reductions. As aldermen on the Kingston Common Council, we know all too well the pressures faced by our counterparts on the school board in searching for ways to curb costs and control taxes. But as aldermen representing the home wards of Sophie Finn and Meagher, we also feel strongly that closing both of these schools to our youngest Kingstonians is unfair – to them and to city tax payers. Both schools are well-loved by parents, for good reason. Class sizes are small; performance measures are consistently high, following aggressive and long-term efforts by recent principals to lift test scores; and student bodies are diverse. Even as Title I schools serving a large portion of disadvantaged children, both schools enjoy a high degree of involvement by parents and neighbors. What’s more, both are walkable for a majority of their students – a concept that some might dismiss as outdated and quaint but that we think plays a critical part in the potential appeal of Kingston neighborhoods to young couples looking to make a home and raise a family. At a time when the city, the Cornell Cooperative Extension and the Robert Woods Johnston Foundation are investing considerable time and money in a “Complete Streets” program aimed at curbing Kingston’s alarming rates of childhood obesity, the closure of two walkable schools serving almost 450 students seems out of step with bigger public imperatives. The $680,000 to be saved by closing Meagher represents less than one-half of 1% of the school system’s proposed $145 million annual budget, and once the additional costs of busing newly displaced students is factored in, the savings will be even less. Since the schools are within a half mile of each other and collectively cover a large swath of Midtown, the expanded busing could add considerably to the $7 million-plus we already spend annually on student transportation. But if closures are the only workable way to make a dent in school spending right now – and we don’t think they are – then the school board at least needs to look, finally, at wielding the budget ax elsewhere. By the Facilities Committee’s own reckoning, Zena School, in Woodstock, has the lowest enrollment in the system, with only 70% utilization. Situated in a largely rural setting, surrounded by trees, Zena is hardly walkable for anyone, let alone children. We do not advocate closing any school, but if you’re going to close one, then be fair about it. And fair does not include pitting two high-achieving, walkable schools in Kingston against one another. Hayes Clement represents Ward 9, home of Sophie Finn School, on the Kingston Common Council. Bill Reynolds, the Council’s Majority Leader, represents Ward 7, home of Meagher School.